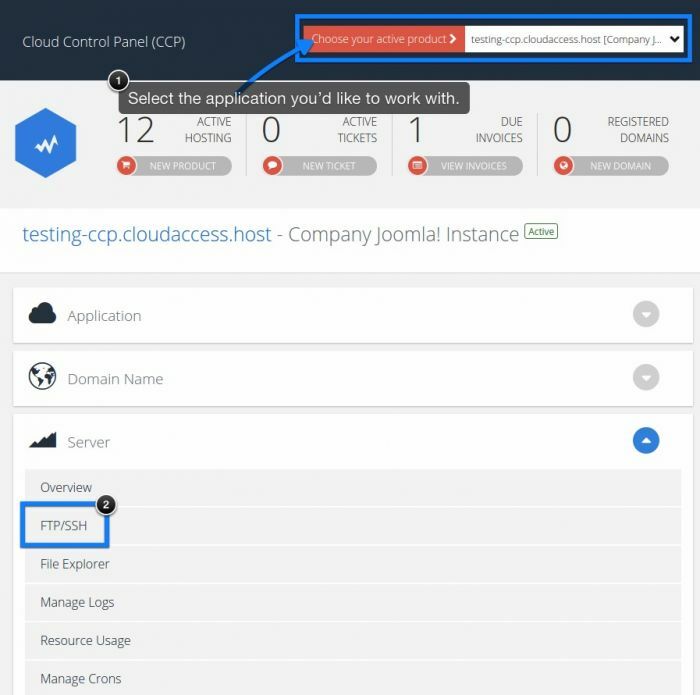 Log into your Cloud Control Panel™(CCP) to access your FTP/SSH login details. Select the application you'd like to work and select the "FTP/SSH" option below the "Server" tab. 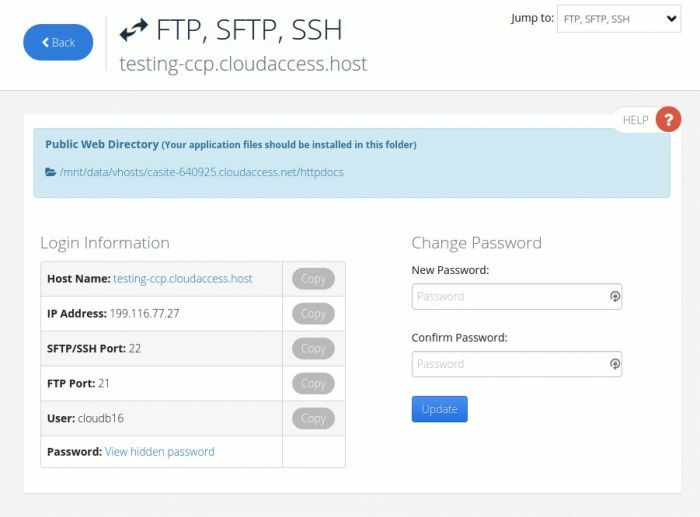 The FTP, SFTP, SSH window contains your host name, username and password. To view the password click on View hidden password. You can also change your password in this area.